Grant is a former Marine with a daredevil's sense of adventure and Kevin is a scientist with a knack for engineering. Together they continue their quest this season to recreate the biggest internet failures and show what science can do to make them go right. Using Kevin's garage as their home base, during each episode they apply basic scientific principles to reboot these experiments - making them bigger, better and more outrageous - with results that prove a little science can go a very long way. The second season opens up with an amphibious motorcycle, golf with a scientific twist and racing drones that feel like a real-life video game. Kevin and Grant are back to remind us all that with some serious science, our inner-child's sense of fun and adventure, and a little imagination- anything is possible. 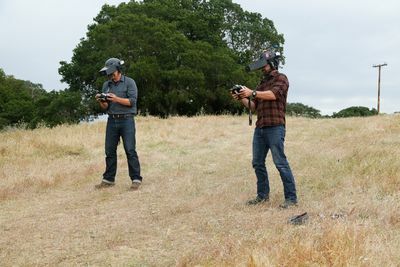 August 12: Game of Drones: The guys live out a real life video game when they build and race drones equipped with POV cockpit cameras. 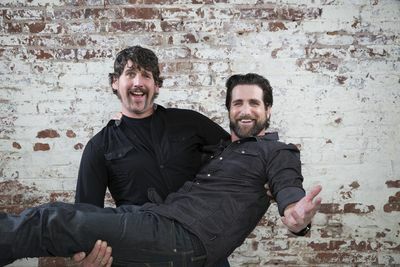 Kevin and Grant customize a motorcycle so it can drive on land and sea, and the guys use lasers and an air compressor turned backyard putt-putt golf into a hole-in-one competition. August 19: Monster Truck Golf Cart: Kevin and Grant become masters of the fairway when they widen the wheelbase, increase the motor size and jack up a golf cart. The guys take on the science of Spiderman when they engineer a way to scale a 50-foot wall. And they turn power tools into high speed racing machines. August 26: Quake, Rattle and Roll: The guys build a homemade earthquake-proof table in hopes of withstanding the Big One. Kevin and Grant attempt to grill the perfect steak by harnessing the power of sound waves in their pyro barbeque, and they design a backyard hydrofoil racing boat in hopes of gliding across the water. September 2: Quicksand Quagmire: The guys engineer a plan to survive a three story free fall jump without a parachute, try to escape the legendary powers of homemade quicksand, and build a massive squirt gun from recycled items in the garage. September 9: Armored Car Combat: Kevin and Grant get two scrap heap autos battle-ready for the ultimate demolition derby. Science and truth-telling are put to the test with a homemade lie detector, and the guys overcome elevation when they build a chainsaw-powered chairlift. September 16: Motorcycle Chariots: Horsepower takes on a new meaning when the guys fabricate motorcycle drawn chariots for a modern take on Roman Gladiators. 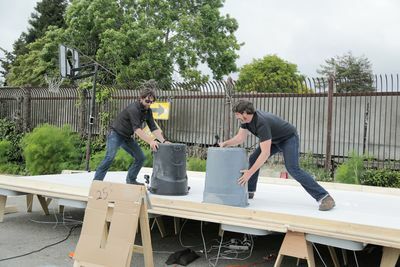 Kevin and Grant build a life size air hockey table powered by more than 30 industrial fans, and completing a cold water swim from Alcatraz Island takes creative science, good planning, and a little luck. 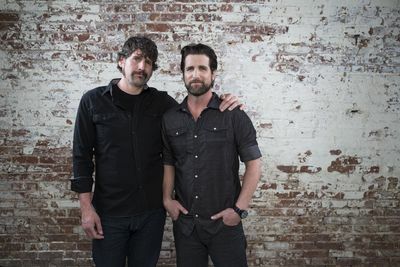 September 23: Kevin and Grant build a backyard submarine from recycled parts and attempt underwater exploration, wind-up toy cars are supersized as the guys make huge versions of a childhood favorite and the miracle of duct tape is put to the test when they use it to stop a bullet. September 30: Inspired by rolling tires down a hill, Kevin and Grant build a giant single-tire motorcycle that lets them ride inside the wheel, they super life-size the game of Rock 'em Sock 'em Robots complete with pneumatic punching hands, and harness the power of extreme weather inside Kevin's garage and unleash its fury on a miniature town.